Arizona senator Jeff Flake, one of the most vocal supporters of immigration reform in the Republican Party, wants to see the House of Representatives deal with the issue as soon as possible. Flake says that with the election cycle for the 2016 presidential election just around the corner, it is imperative for immigration reform to be dealt with by the legislative process as soon as possible. 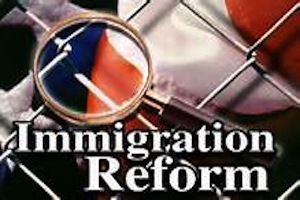 It was not so long ago that a series of votes on the issue of immigration reform appeared to be about to happen in the House of Representatives; however, Eric Cantor, the House majority leader, lost his re-election bid in June in a defeat that was attributed by many commentators to his openness to immigration reform. Flake believes this interpretation of the event is a false one; however, it nonetheless did enough damage to make Republicans run for the hills when it came to the issue of immigration. Flake wants the House to start passing piecemeal legislation on US immigration reform to address various components and for these smaller bills to be sent to the president for his approval or veto.